Pursing MBA from IIMs – premier B-schools in India, is a dream come true for many. But rarely do MBA aspirants know what awaits them once they join a top B-school. To help aspirants understand this, Prof. AbhishekGoel - Faculty –Organizational Behaviour Group at IIM Calcutta shares some important insights about MBA at IIMs. Pursing MBA from IIMs – premier B-schools in India, is a dream come true for many. But rarely do MBA aspirants know what awaits them once they join a top B-school. To help aspirants understand this, Prof. AbhishekGoel - Faculty – Organizational Behaviour Group at IIM Calcutta shares some important insights about MBA at IIMs. Prof. Goel talks about importance of Organizational Behaviour as a functional area in management education. He also shares his views on one the biggest dilemmas that MBA aspirants face i.e. MBA in India vs MBA Abroad. In his concluding remarks he talks about importance and effectiveness of Case Method or Case Studies in management education. Organizational Behaviour is a field that tries to understand interactions between people as well as interactions between people and organizations. OB as it is commonly known in management circles, also tries to decide how organizations are designed and how they function. So, simply put, Organizational Behaviour covers three core areas i.e. As far as management is concerned, OB becomes a key subject for business managers because they need to manage individuals i.e. employees, employee behaviours and overall organizational structure as well. With the advent of new technological disruptions such as Artificial Intelligence, Machine Learning and others, the debate or dilemma between being an MBA Generalist or MBA Specialist has deepened. In the management world, specialists have the role of being able to understand a problem or a particular area in great depth and provide pointed solutions which are probably, technically the best ones. However, when it comes to the final decision, it has to be taken by someone who is capable of understanding the intricacies between various specialties. This is where Generalists come into the picture. Generalists are able to evaluate the pointed solutions offered by the specialists and decide the optimal solution which is both, practical as well as doable. So, in the management sphere, there is always going to be demand for Generalist as well as Specialists and both with different and clearly defined roles. However, with evolution of managerial roles, the fine lines between being a Specialist and Generalist is being blurred, gradually. So, one career route, which is often taken or preferred by MBA graduates is to start off as a specialist, because that’s one area where you love to be. Later on, if you get into academics, you can do something particular in that area. Similarly, if you are in the field of business, then you can start moving away from the specialization or start utilizing that specialization into a more general manner. For instance, there are many CEOs who started off their career as specialist but then they become generalists. So, it’s about how you learn over a period of time. In the recent past, Case Method has been gaining popularity and preference among management education circles in the top MBA colleges in India and abroad. Case Method allows people to look at a managerial problem from various angles, and thereby hones your analytical skills. It also provides context to an unstructured problem, thereby helping you to analyse the root of the problem. After understanding the root of the problem, case method also helps to come-up with pragmatic solutions to solve the problem. Simply put, Case Method provides very rich context to a problem which improves the overall decision making process. It allows you to analyse a problem from different perspectives by bringing in knowledge from different domains in order to arrive at a final decision. Prof. AbhishekGoel is part of the Organizational Behaviour Group at IIM Calcutta. Currently, he is also the Chairperson for Placements at IIM Calcutta. He holds a fellowship from Indian Institute of Management, Ahmedabad (equivalent to Ph.D.) and an MBA in International Business, FMSR, AMU. 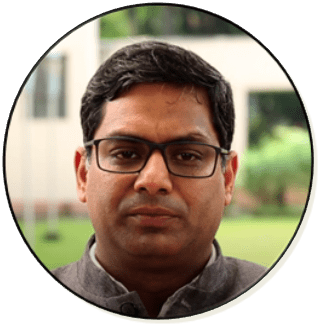 At IIM Calcutta, he teaches courses on Micro Organizational Behaviour,Macro Organizational Behaviour/Organization structure and design, Change Management/Organization Development and Cross Cultural Management. His Consulting interests revolve around Leadership Development, Leadership and Organizational Culture and Sensemaking / Systems View.